The control unit has two timers. 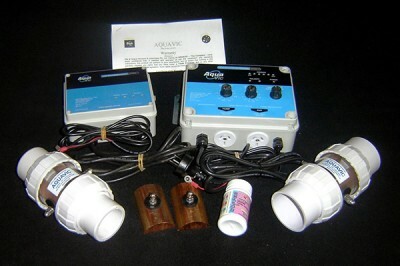 The main timer controls pump, filter, auxiliary output and the ioniser. The second timer controls the actual ioniser running time which gives you control over the effective copper levels for the size of your pool. 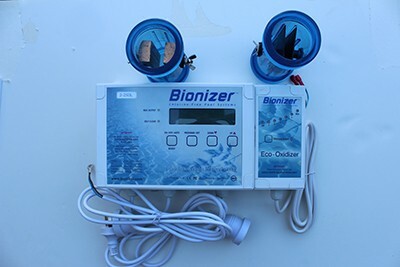 This means the ioniser unit only works as much as is needed, so saves on electricity and extends the life of the electrodes. Ongoing, the pool requires a small amount of mild chemicals to support the ioniser process. We recommend an oxidiser. Checking of water quality is simple – test kit provided. 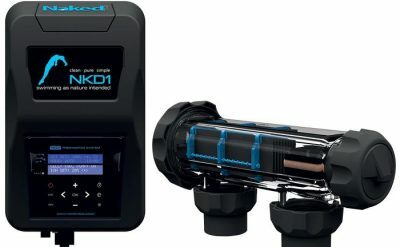 No more trips to a pool shop to test the water!